Quality, good cream, suitable for you- a pledge of beauty and health of your skin! Fortunately, now in shops there is a wide choice of the given goods, from absolutely inexpensive, up to creams of a premium class. It is very important to choose this cosmetic remedy for the person, replenishing skin imperfections, and at the same time not harming it. This is difficult to do, as it will easily get lost in a wide variety. It is also worth remembering that a poor quality productCan cause the skin much more harm than good. Of course, the very first step is to determine your skin type. Only after this, you can correctly choose a good face cream. Each type of skin has its own personal characteristics, the same way and the tool is created taking into account the characteristics of each skin type. Five main types of skin are divided: normal, dry, sensitive, combined and fatty. 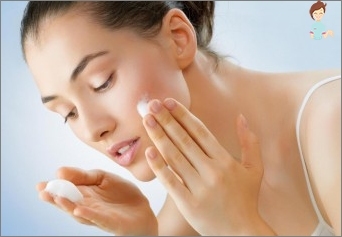 Oily skin needs creams with lighter skinTexture. They, in no case, should not contain fats, as this can contribute to an even stronger corking of the pores. Despite this, the cream should contain a fairly large number of moisturizing elements. Combined skin is more whimsical, on the faceCan be both dry areas of the skin, and sebaceous, for example, in the forehead. 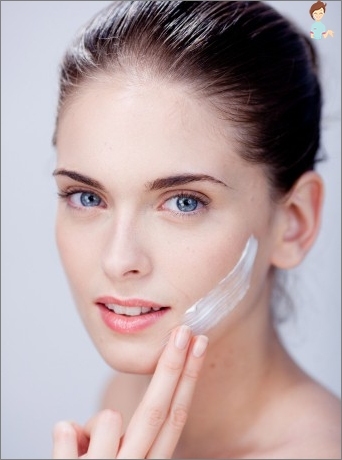 Therefore, the cream for combination skin should be special, moisten dry places and matte greasy areas. Dry skin, requires special hydration andNutrition. Therefore, the cream should be more dense consistency and contain natural oils. Sensitive skin, prone to irritation and redness, so the cream should be with the least amount of flavors and be more natural, designed specifically for sensitive skin. Normal skin, perhaps, the most unpretentious. The cream for normal skin has lesser criteria for selection. 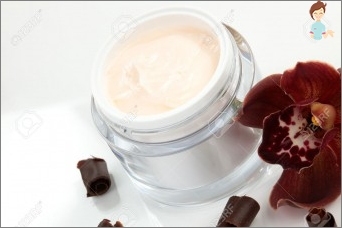 The cream should not only suit yourType of skin, but also be of high quality. To choose a quality cream, try to avoid small shops, not specialized in creams. By experience, I can say that if you travel, do not be lazy to go into duty free and buy a cream there. Prices of duty free for cosmetics and perfumes may not differ from the usual retail, but there you will definitely avoid fakes. Before buying a cream, be sure to test it on the back of the brush. It is also worth remembering that the cream in the tube is more hygienic, since access to bacteria is limited. If you bought a cream in a jar, it does not matter,Use a special cream stick to avoid getting an infection with your fingers. Often, the skin very quickly gets used to one cream, and the effect of it due to this is weakened, so after the cream is over, it is better to change it to another. I cope with this problem as follows: choosing two brands of cream that suit me I alternate them.